For over a year, Mobile Legends: Bang Bang (MLBB) has captured the hearts of its Filipino players with its awesome multiplayer online battle arena gaming experience. It gathered ten millions of committed players not only in the Philippines, but as well in the Malaysia and Indonesia for MLBB is ranked number one in these countries. 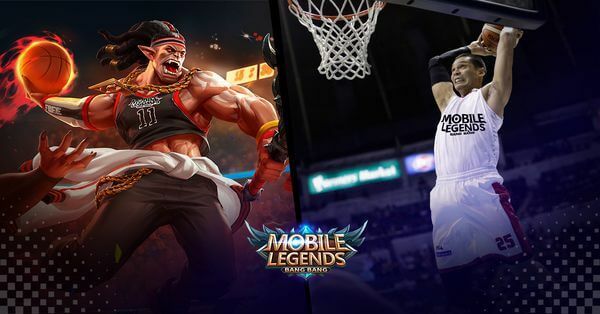 Moontoon, the developer of MLBB, took another step to bring the “Pinoy Feels” to the Filipinos by incorporating MLBB into Filipino’s most loved sports, basketball. They emphasized the similarity of basketball and MLBB e-sports on the spirit of competition and teamwork experienced by the players and spectators. A series of exciting collaborations with leading Filipino basketball players, basketball-themed skins, limited edition jersey and other offline events were organized by MLBB. Japeth Aguilar, Ginebra’s all-star forward and MLBB player, collaborated with MLBB and gave 20 personally signed limited edition MLBB jersey to other fellow MLBB players. He also realized the similarities of basketball and MLBB in terms of the sense of camaraderie and experience while growing together in both games. Meanwhile, during the opening of the 2018 PBA Commissioner’s Cup Finals, Balmond, MLBB’s epic hero, made an appearance and delivered slam dunks while geared with a basketball jersey at the PBA court. Ginebra’s Scottie Thomson and other PBA players hyped the fans by sharing photos and live streams of Balmond at the PBA finals. MLBB launched the newest Balmond’s Savage Pointguard skin in front of famous TNT stars from PBA's strongest teams at the Mobile Legends Professional League (MPL) finals. In addition to this, the official trailers of Baldimond's skin earned to spotlight in social media accounts of PBA, UAAP and NCAA players. This crossover between basketball and MLBB showed the spirit of teamwork and passion which brought excitement to Filipino fans.